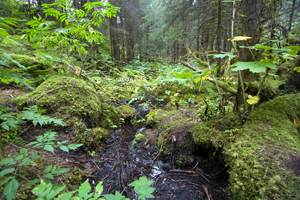 You could have knocked me over with a feather when I learned you could walk through a rainforest in Alaska. And, Patty and I did. Here is a small version of what you will see in larger format if you click on the link below the photo. Enjoy.